Influence business strategy and deliver results. 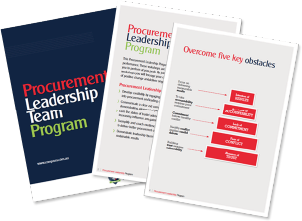 The Procurement Leadership Program seeks to further enhance procurement performance. These workshops are dedicated to opening pathways to enable you to perform at your peak. By joining in these highly focused workshops you will leverage your collective strengths to create a landscape of positive change and deliver ongoing, sustainable results for the business. Develop credibility by engaging with confidence, verbalising insights into procurement and leading candid debate. Communicate a clear and compelling vision to key stakeholders demonstrating alignment of procurement strategy with business needs. Earn the status of trusted adviser amongst key stakeholders by increasing influence and gaining buy-in for procurement strategies. Exemplify and coach excellence in procurement by taking ownership to deliver better procurement outcomes.  Demonstrate leadership by consistently driving and delivering sustainable results.